In the wake of the NATO summit in Warsaw, western once again misinforms and mischaracterizes in the public forum. One headline speaks for all, “The Nato summit might just make Vladimir Putin think again”, via The Telegraph is all wrong, a partial truth to observe. I am not sure I have ever heard anyone (even the criminally disturbed) refer to themselves as “NATO folks”. This slippage reminds me of something Barack Obama would chide over the teleprompter. No doubt Crawford must have identified with “We had to torture some folks”, back when Her Majesty was interested in busting up Yugoslavia. But that is another tale worth telling later on. The focus today should be on what really took place in Warsaw. And Putin and Russia running scared in the face of a notoriously inept NATO is not the moral of this story. If Vladimir Putin is scared at all, if Russians have the slightest concern over NATO’s new battalions stationed in Estonia and elsewhere. 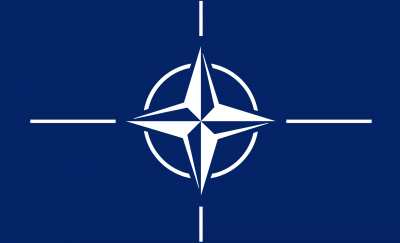 Nato Secretary General Stoltenberg called the Warsaw decisions the “biggest reinforcement of Nato’s collective defense since the Cold War,” and with some idiotic pride, I might add. For those of you out there thinking though, Putin and Russia are afraid for the hapless soldiers Obama and the Brussels idiots have painted targets onto! Are you reading me now? Romania has a big, red, bullseye painted onto the Aegis land based ABM system Obama just installed there. Poland gets one too, and Putin warned of consequences to these omni-strike weapons systems. But the real tragedy in all this misguidance from Washington is laser sighted onto those men and women in combat boots, on the ground at the borders of Russia. For the obtuse among you, Putin’s worry now is being forced to kill soldiers from tiny nations that might not even present a danger to Russia at all. NATO is putting hostages in front of the second most powerful military in the world, and daring the Russians to retaliate at all. This is the act of cowards, and I speak for veterans of a score of wars. Putin is accused of perpetuating “asymmetric warfare” on Eastern Europe already, but it is Washington and Brussels actually engaged in unconventional attacks. American citizens, or even those in France and Germany, sit comfortably far away from Moscow. Comfortably, that is, as long as Russia does not mobilize fully as in World War II. Four battalions, under the leadership of US, UK, and German commands will reinforce Poland, Estonia, Latvia and Lithuania on a rotational basis. Romanian and Bulgarian troops will lead Black Sea contingencies, and nations from Canada to the Czech Republic, Slovakia and Hungary have pledged token forces. Given the capabilities of the Russian military at present, one can only envision these forces as I have suggested, as multinational hostages of America, held out in front of an increasingly desperate new imperialism. The victims of any mix-up in western geo-strategy now in place, now we all see the warmongering psychopaths emerge triumphant. The war of wit versus the witless edges closer, to a real cataclysm only a sociopath could welcome. The west pokes steel bayonets disguised as the flowers of democracy at Moscow, and Putin’s rescue of Crimea is used as the rationale for war. America invades the world, twists arms, detains and snuffs out anyone in the way, and then pretends to ride the white horse. The reality of this Warsaw summit is ludicrous. The people of Europe duped and betrayed again, but fascists and imperialists reincarnated. I hope when the war starts, some alien on another planet remembers some Earthlings tried to stop it. I know God knows.